Android tablets are dying. There are signals that bear this out: sales estimates, web traffic, an utter absence of meaningful innovation or even competitive products in the segment. We've watched Android tablets struggle from day one: when Samsung's Galaxy Tab was utterly panned for its subpar performance and pricing, to the years of Honeycomb suffering under the yoke of underpowered chipsets and endless bugs, and finally to the unspoken abandonment of Android tablets by Google's own app teams over the past few years. Android tablets have never been particularly lively, but in 2016, I think we've finally watched the market's pulse near flat-line. When the most exciting thing to happen to tablets in a year is Huawei's unlovable MediaPad brand, it's safe to say we're scraping the bottom of the barrel. Passing blame has been popular when it comes to Android tablets. Most commonly in the crosshairs of critics has long been Google, for devolving the once-robust dedicated tablet interface it introduced with the radical Honeycomb OS into little more than a super-sized smartphone experience. And yet, those same people generally ignore that the world's most popular tablet vendor, Apple, has done exactly that with the iPad from day one. As iPad sales begin to fall and the global tablet market saturates and sinks, to blame Google's interface design for what are clearly larger tectonic forces of consumer preference seems silly: missing the forest for a handful of feature trees. Demands for features, functions, and tablet-specific interfaces distract from the real problem with tablets - that fewer and fewer people need or even want them. 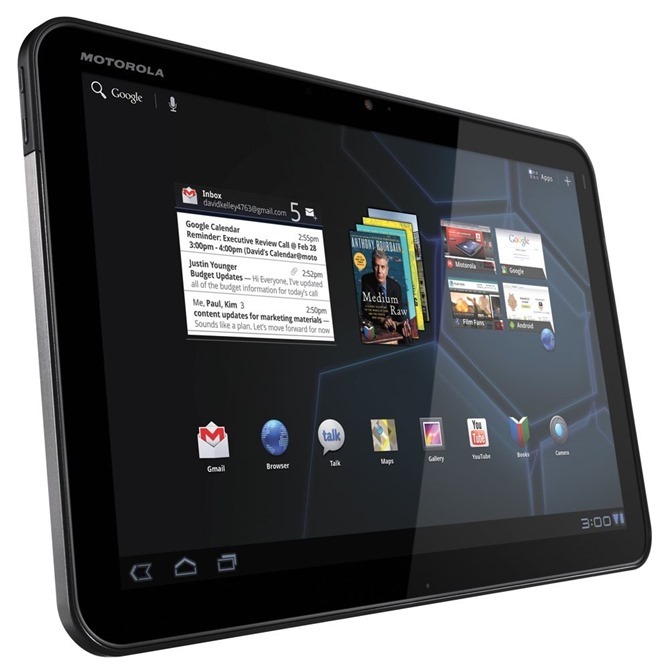 The XOOM was touted as Android's answer to the iPad. The answer, apparently, that Apple didn't hear. To blame Google for the dearth of innovation and competition in the tablet space is tantamount to blaming Toyota for not doing enough to make small, four-door sedans interesting in the age of crossovers and compact SUVs. It's not relevant to the bigger picture: for every thing we say Google should do to Make Tablets Great Again, we're faced with the reality that the form-factor itself is being increasingly marginalized by ever-larger phones and ever more flexible and powerful laptops. The latter, in particular, seem laser-focused on making the idea of "serious" tablets utterly redundant. After all, when we talk of tablets as productivity tools, we are inevitably pulled into discussing power-user additions like keyboards, mice, advanced multitasking, and professional software. All of which ever-slimmer, ever longer-lasting, increasingly touch-enabled and convertible laptops already provide. Just look at HP's Spectre X360 or Microsoft's Surface Book - laptops are cool again. On the desire for a smaller-but-still-large screen front, smartphones have rapidly displaced the 7" tablet market as 5.5" screens become more the rule than the exception. Certainly, there remains a place for tablets as the "just right" reader and consumption devices that initially popularized them, but there's no indication that this is a space ripe for growth. Such functions are nonessential and provide little room for meaningful innovation. How many ways are there to read an eBook or watch Netflix? When the tablet is just a dumb screen for playing back media, there's essentially no incentive to make a "good" tablet - just one that is good enough. And that is generally the bulk of the remaining market for Android tablets. Devices that are good enough to fulfill the uninteresting, unimportant roles in our digital lives that, perhaps, our phones and laptops are marginally less good at, but that have no real aspirational role to play. 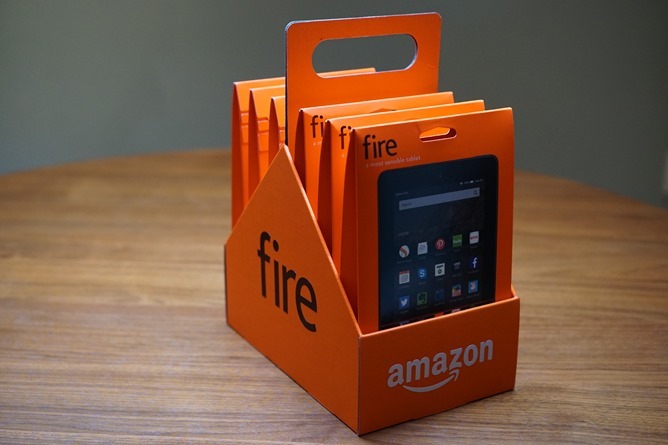 The Fire Tablet six-pack seems a fitting rendition of the state of the tablet market: boring, cheap, and commoditized. If you told me I could have a dumb, 9.7" display that was little more than a glorified Chromecast, I'd find that more interesting than any tablet on sale, because at least it would be novel for its focused minimalism. After all, I don't need a bleeding-edge processor, a bunch of storage, or a full-fledged operating system to read a book or watch YouTube. I just need to be able to project content from my powerful smartphone to a larger display, preferably with a big battery to match. There remain legitimate niche markets for tablets, in both professional and consumer senses, but the writing is on the wall when it comes to the mass-market tablet: we're only going down from here. Rumors that Google is working on a new 7" tablet to showcase its next-generation Andromeda operating system gave hope to enthusiasts that Google isn't quite ready to let the tablet off life support just yet. If and when that device arrives, great pains will be taken by some to assure us that people really do want tablets, it's just that they didn't want the tablets we had before. We just need that magic bullet; to finally crack the tablet code. "This time, developers will pay attention!" This is a fantasy. Android tablets have had six years to mature and evolve, for developers to find the use cases and the markets for their wares, and at the end of it all we're left with a tablet content ecosystem now utterly devoid of interest from consumers and developers alike. Nothing Google can do with its operating system will be able to shock the tablet market back to life, because the tablet is not dying for a lack of content. It is dying for a lack of compelling reasons to exist. 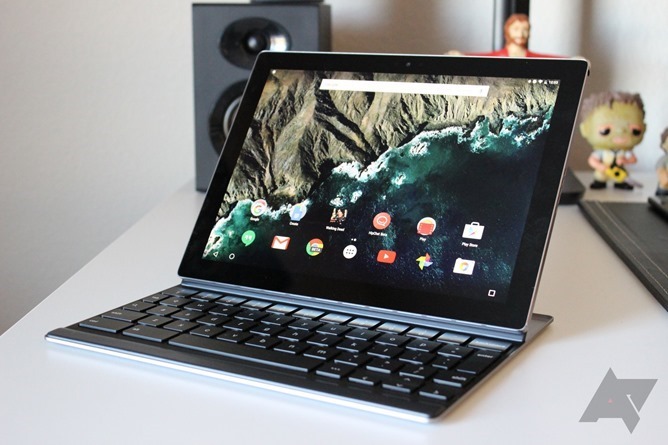 Google's Pixel C was supposed to bring an Android tablet renaissance. Instead, it has basically languished. We need only look to Google's own product portfolio for affirmation of this theory. In 2016, Google released no tablet, and while the Pixel C has received updates adding functionality like multi-window, it has not received the bespoke feature and content attention that many hoped it would when it was announced last year. It's just another big canvas on which to do things you can do with any other big canvas, except the canvas looks a little nicer and runs a little faster. As a product, the Pixel C was and has remained to date almost wholly uninnovative, never blossoming into Google's re-do on Android tablets many had hoped it would represent. Some of Google's own apps languish with limited or no tablet interfaces at all, and third-party developers continue to be uninterested in the big screen. Next year, our understanding is that Google plans not to release another high-end tablet, but a small laptop designed to offer excellent battery life, extreme portability, stylus functionality, and powerful enterprise software blended with a full-touch display. Even Google, it seems, believes the path forward for Android and the big screen is the more traditional - but increasingly flexible - laptop. 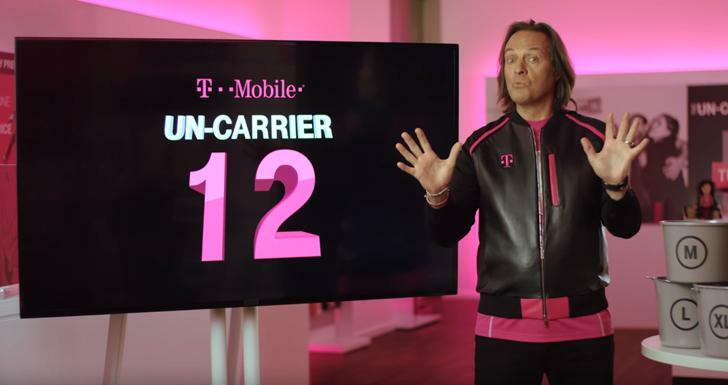 While tablets are likely to go through death throes for years to come, falling into the various niches where their abilities are more appreciated and essential, 2016 seems as good a year as any to declare their ailment terminal. In their stead, we will continue to see better and better phones with more and more advanced capabilities, and laptops that increasingly blur the line between traditional notebooks and highly-evolved tablets. So, as "traditional" tablets fade away, they will be displaced by devices that do their job better, faster, and with more practical utility. I can't say I'll miss them.